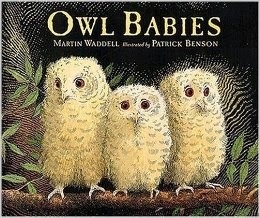 One of my very favorite books to read during the first week of school is Owl Babies by Martin Waddell. It has just enough drama to hook little ones who have very short attention spans at the beginning of the year. You know how it is... "Please stop touching her hair!" "No, it's not time to go home... only three more hours!" or my personal favorite "No, we do not do somersaults on the rug!" The illustrations are gorgeous, so that helps too! 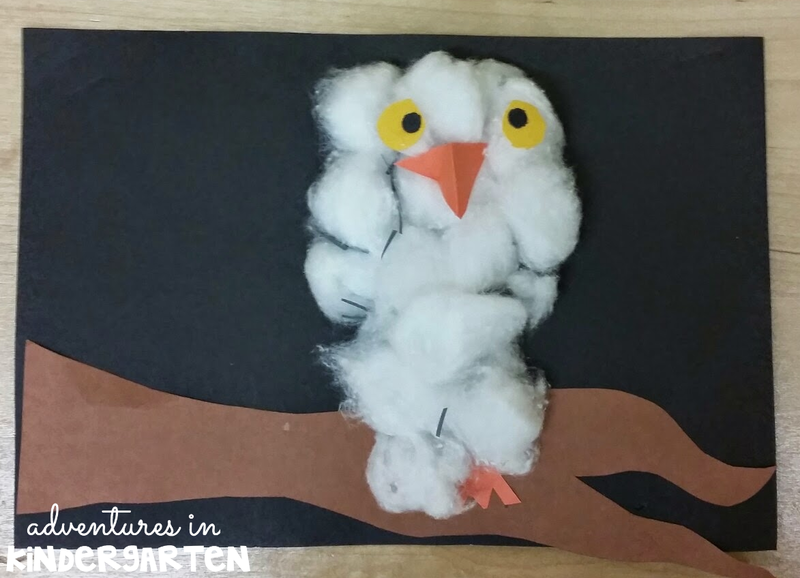 In case you haven't read this one yet, it is about three baby owls who wake up in the middle of the night to discover that their Owl Mother is gone. Sarah, Percy and Bill take turns comforting each other, and eventually Owl Mother returns, of course. The refrain "I want my mommy!" is repeated over and over, and the kids love to join in to help you read it. Of course, the idea of missing mommy is one that the kids relate to during their first few days in a new, "scary" big kid school. 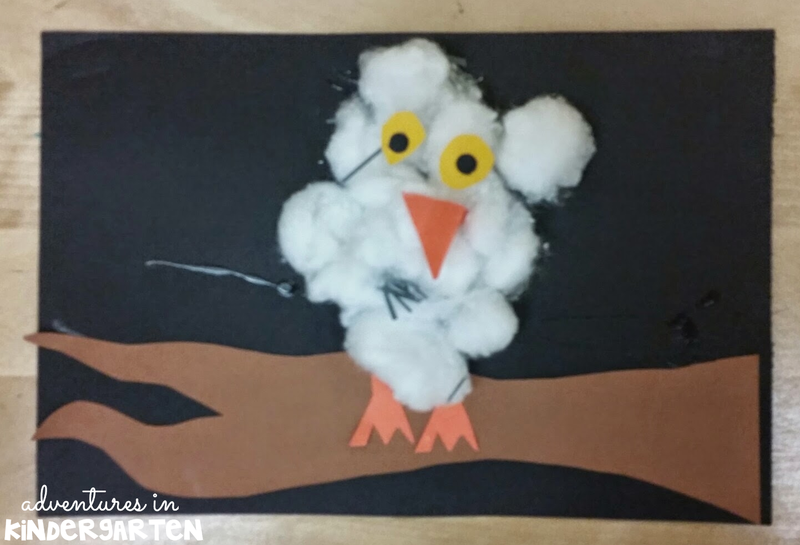 I always like to do a few easy art projects at the beginning of the year. 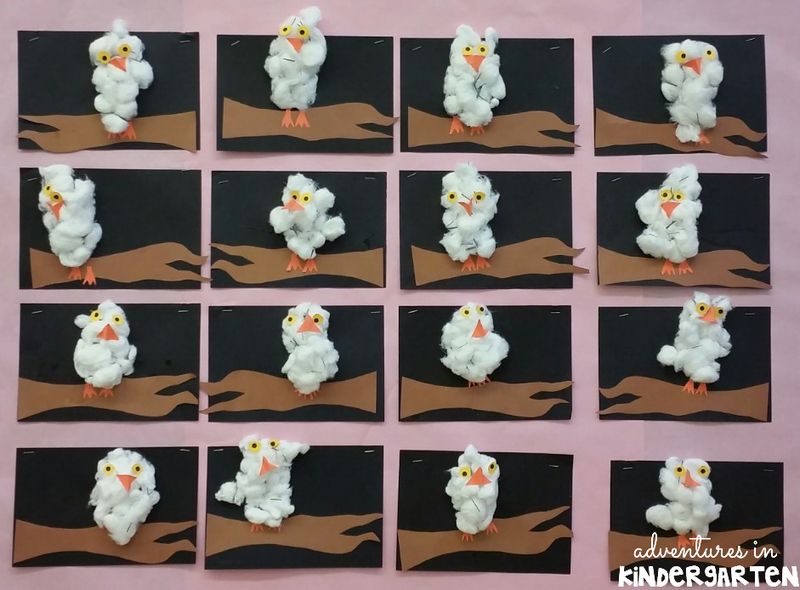 You never know what skills your group has, so you want something that is simple. Your walls are empty, so you need something cute... amirite? 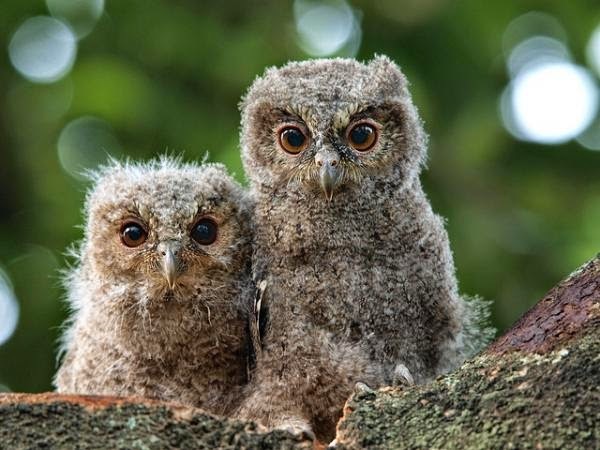 Before we get started on the art projects, can we take a second to look at how freaking adorable baby owls are? I can't stand it! 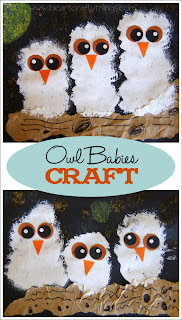 Here are the super sweet owl babies that my para made with the kids. 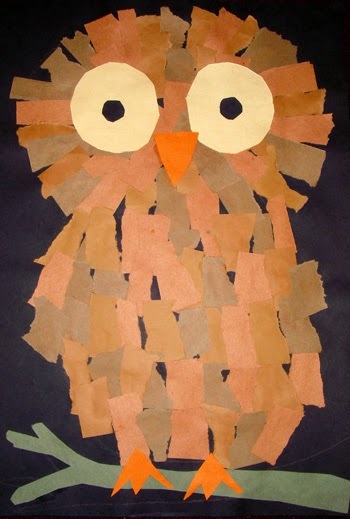 She is so crafty... love it! Sooo apparently I forgot to take an "after" picture. This one doesn't show the kid quotes and activity description that I added to the top of the display afterwards. I asked a few littles what their favorite part of the book was, typed it up and slapped it on there. Done! Here are some close-ups of a few of my favorites. I love how they all look a little different. Are you freaking kidding me? Look at all that cuteness. I absolutely hated to take them down. 4. 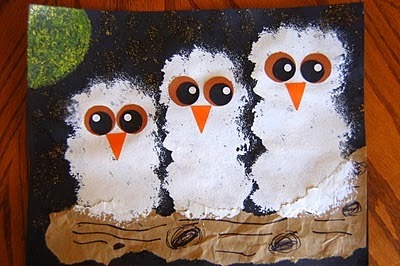 Add a few tiny scraps of black paper to the cotton balls to give your owls a little more dimension. 5. Let them dry and enjoy! I am also obsessed with this animated version of the book. It is so wonderfully animated and true to the story. The kids always beg me to play it "just one more time? Pleeaseeee?" 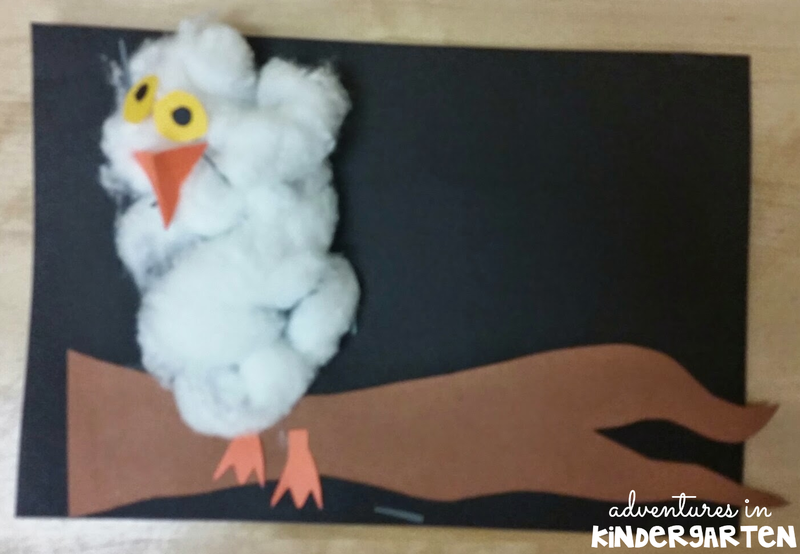 We also love to act out the text with finger puppets. 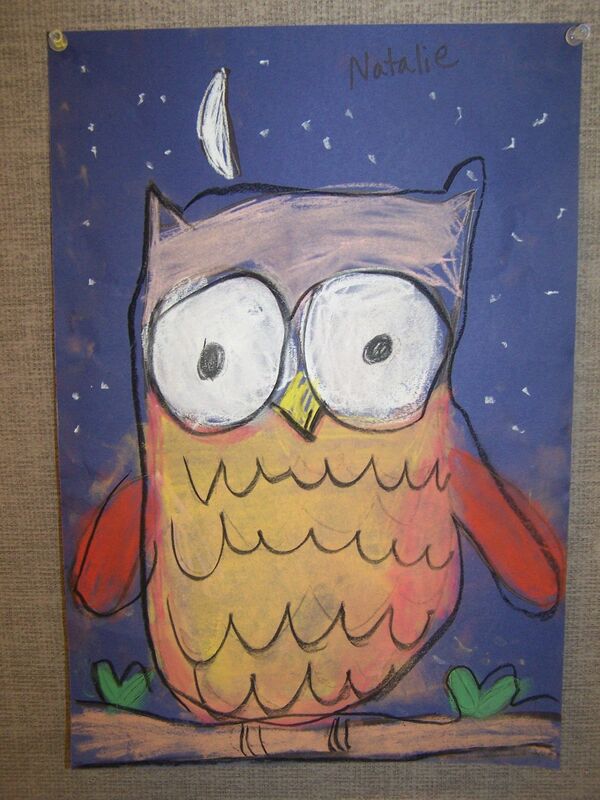 On the playground we practice silently swooping through the forest, just like Owl Mother. 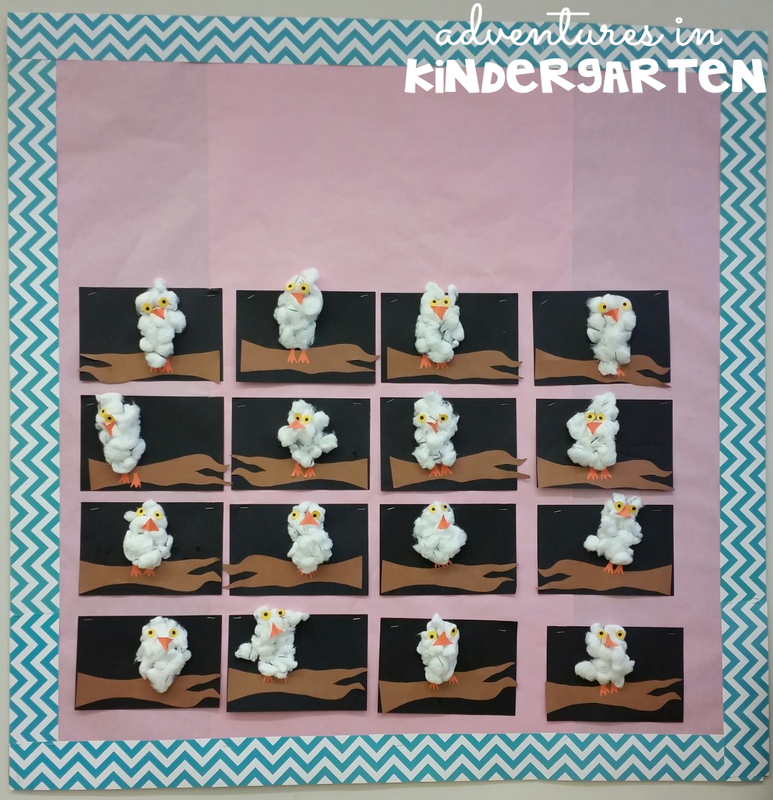 I love these activities because they enjoy the text on a whole new level and pick up on the vocabulary so well.